I'll check my biases at the door on this one. I haven't been a Hanley Ramirez fan for a long time. He plays when he wants to play, and doesn't regularly respect the game or his teammates. If I were a Marlins fan, this guy would frustrate me on a daily basis. That all said, I love the Dodgers move to get Ramirez on the cheap. There's no real substitute for elite ability, and perhaps a change of scenery will get Hanley going again — just like it worked for Manny Ramirez back in 2008. The Hanleywood cost was surprisingly modest, a stone-cold giveaway. The Dodgers picked up Ramirez and lefty specialist Randy Choate in exchange for right-handed pitchers Nathan Eovaldi and Scott McGough. Eovaldi has a chance to be a mid-rotation starter, I suppose. McGough isn't a hot prospect but he's just 22, maybe he'll turn into something. But a motivated Ramirez is capable of being one of the best players in the game. 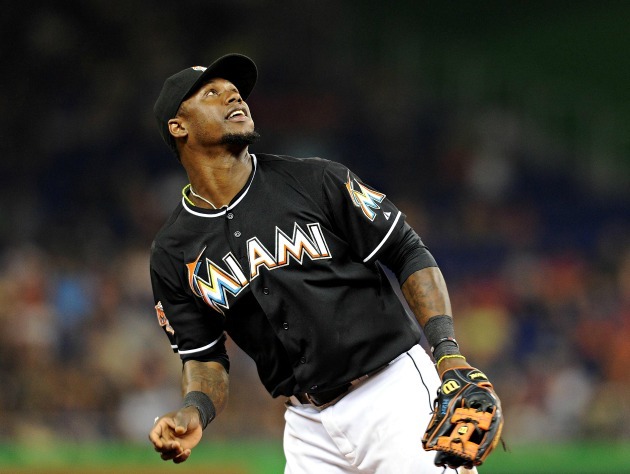 The Marlins wanted Ramirez gone, and his salary gone. The package coming back apparently wasn't that important. I can't tell you what makes Planet Hanley tick, but the Dodgers can offer him a lot of things the Marlins couldn't. LA might be able to use Ramirez at shortstop again (though that hasn't been decided yet); obviously Dee Gordon is currently on the DL. Manager Don Mattingly is considered a more easy-going manager and communicator than combustible Ozzie Guillen. The Dodgers are in a pennant race while the Marlins shipwrecked a while ago. If this new setup won't encourage Hanley's best effort, maybe nothing can save him. Ramirez was a $21 commodity the last time I went into Shuffle Up mode. If I were repricing infielders right this second, I'd probably push him up a couple of bucks. And the Matt Kemp and Andre Ethier owners in the crowd should appreciate this acquisition as well. I don't see anything exciting happening with Miami's leftover third basemen. Donovan Solano is off to a quick start in the majors but his minor-league profile leaves you cold. Greg Dobbs is a long-forgotten journeyman who doesn't have enough game to carry a mixed-league roto spot. And this lineup could get weaker at any moment: obviously the Marlins are prepared to trade anything that isn't tied down. I'd start packing stuff up, Carlos Lee. Share your Hanleywood expectations in the comments. The 2012 Trade Deadline is a crowd pleaser.